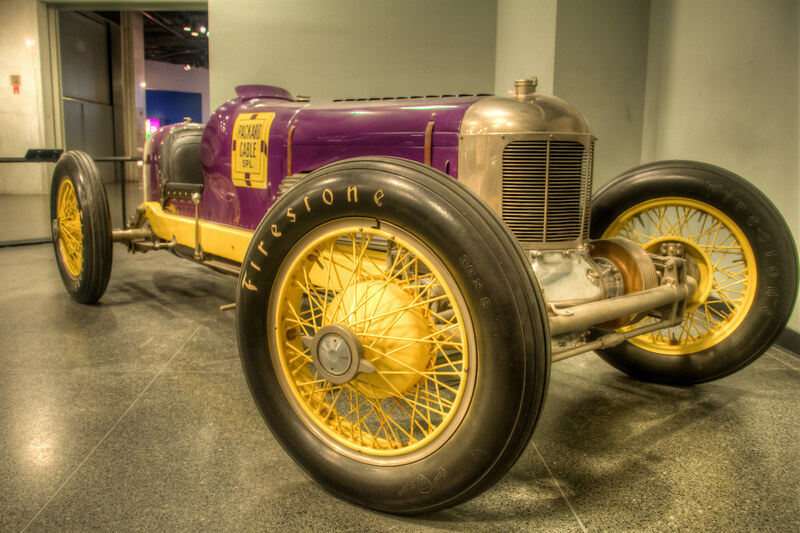 The Purple Racer | Just Shooting Memories! I love classic cars. I understand completely how America can have a love affair with the automobile. These are fascinating vehicles. I try to make it to several auto shows, but have not been as successful this year. In fact, I have not had as much time for photography as I have wanted this summer. However, I have several things planned, including Scott Kelby’s Worldwide Photo Walk. I am going to attend the walk in Chattanooga on October 1. If any of you are in the area, I would love to meet. I was exploring the Museum of American History and made it to the bottom floor where the vehicles were located. The first vehicle seen is this race car. I don’t remember the name and right now I have horrible internet connectivity or I would look it up. It is so much fun to explore museums and see the history that is contained there. I think museums are some of the most difficult to photograph, but some of the most beautiful buildings. This is another photo from Washington D.C. and what I called The Blue Room. And don’t miss last Sunday’s Daily Photo.